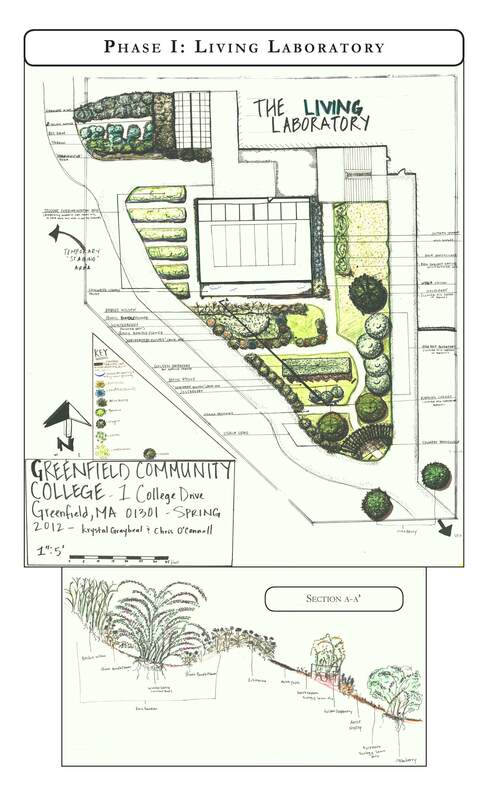 The Farm and Food Systems initiative at Greenfield Community College provides students with an interdisciplinary understanding of the ecological, economic, political, and social systems as they relate to food and farming. Additionally, students learn hands-on skills through internships and applied courses such as Mushroom Foraging and Cultivation, Permaculture Design, Beekeeping, Four Season Farming, Organic Gardening, Food Preservation and Introduction to Food Systems. Students can expect to participate in community efforts to support regional food security, local economies, and planning for resiliency. 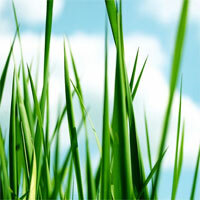 The option explores the broad field of sustainable farming and food systems. It provides students with an interdisciplinary understanding of the ecological, economic, political, and social systems as they relate to food and farming. Through additional applied courses and internships, students learn hands-on skills such as food cultivation, preservation, processing, techniques for propagation, and season-extension, and design of annual and perennial production systems. Students engage in community partnerships and participate in bioregional efforts to support food security, local economies, and planning for resiliency. Note that transfer to many four-year colleges and universities may require the completion of four semesters of World Languages. Four sequential semesters of World Languages classes from GCC will fulfill any UMass-Amherst language requirement. To plan degree completion, see the course descriptions in the academic catalog which specify the planned semester(s) in which required classes are to be scheduled. This is just one way you might complete the Farm and Food Systems program in 4 semesters over 2 years of full-time study, or 8 semesters over 4 years of part-time study. (Sample course sequences assume that all pre-requisites have been satisfied and the student is prepared for college-level work.) For a detailed list of required courses, optional electives and program information, download the Farm and Food Systems program description from our official academic catalog. Describe diverse agricultural, economic, and social systems as they relate to food and farming; Solve problems working with diverse classmates, community partners, and college instructors with various backgrounds. Collaborate on group hands-on projects such as building beehives, low tunnels, or garden beds; undertake shared research questions such as evaluating enterprise models from cooperatives to sole proprietorship; co-create final products such as permaculture designs or mushroom logs; participate in group projects and deliver group presentations. Understand implications of complex ethical questions about land use and food systems; demonstrate the ability to reason and think critically about ecological challenges in farming; articulate social justice issues related to food security and access to affordable, nutritious food. Apply theory learned in coursework to civic engagement activities in the local food community such as volunteering at soup kitchens or gleaning produce for equitable distribution to food pantries; create reflection papers to integrate experience with theory after service activity is completed. Develop written, graphic, and public speaking skills to communicate complex issues to a diverse audience; explain comprehension gained during internships through online blog posts and photographs. Understand quantitative data such as food safety temperatures, soil texture, growing degree days, storm water calculations, solar exposure, etc. Develop research skills and assess viability of information; demonstrate competency finding information with library database, online resources, Moodle, and community knowledge. Observe and analyze patterns and processes in ecological systems; gain competency with identification of plants, soils, water drainage patterns, wind patterns, and seasonal cycles; Increase familiarity with elements of the natural world. Apply critical thinking skills to challenges that arise in farming and in food systems; Develop ability to generate creative solutions that can support resource conservation, food accessibility, economic viability, etc. Synthesize knowledge and experience gained through the interdisciplinary curricula of social sciences, natural sciences, business, and agriculture courses. Transfer to a Baccalaureate program in Sustainable Food and Farming or apply gained knowledge to jobs in sustainable farming, agriculture policy, food-related enterprises, or food systems planning. You want a broad as well as deep understanding of sustainable farming practices. You want to work in fields related to local food production. You want to pursue higher academic or technical study in sustainable farming, permaculture, agriculture, or food systems planning. By taking classes in a Liberal Arts option, students complete courses that help develop 100 and 200 course level knowledge and skills in a particular field. If you don’t satisfy the requirements of a specific Liberal Arts option, you may still be able to fulfill the requirements of another option, or fulfill the requirements of the Liberal Arts General degree. Students are advised to work closely with their GCC advisor to select the specific courses that will help meet their career or transfer goals. Note: Students who complete a Liberal Arts option will graduate with the degree “Associate in Arts in Liberal Arts.” Your area of concentration is reflected only in your transcript, not your diploma. See our online class schedule for current availability. 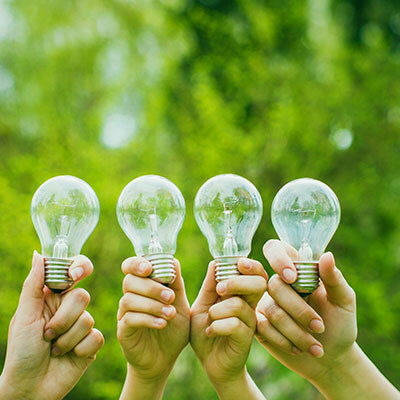 An introduction to basic concepts and principles in ecology including ecosystems, population, food production, energy, pollution, technology, and resource depletion. The course focuses on people’s impact on the natural environment emphasizing current problems and alternative solutions to them. NOTE: Students may receive credit for HEC 101 or EVS 101, but not for both. An introduction to the current state of the global food system and its implications for people, the environment, and our future. Topics include the benefits and drawbacks of the industrial agricultural model; food justice, food security and public health; the real-life challenges to creating a local food system; and innovative responses to meet those challenges. Students undertake research projects that follow food study models and assess the capacity of a municipality to develop a local food system. Special Requirement: Field trips required. (Offered: Every Fall)Prereq: ENG 090 and ENG 094 (COL 090) or satisfactory placement test scores. An introduction to permaculture: a practice of designing systems, modeled from ecological relationships, that respects the land while serving its inhabitants. Topics include permaculture theory, innovative techniques, systems-thinking, and site assessment and analysis. (e.g. patterns of sun/shade, drainage, vegetation). Lab components include hands-on learning and technical skills through field work on campus, field trips, and design studio. 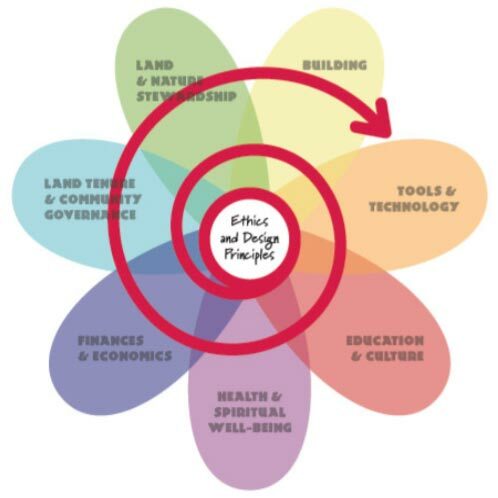 Students apply these skills to a real design project and recommend appropriate permaculture applications such as perennial food production, soil regeneration, and integrated water management. 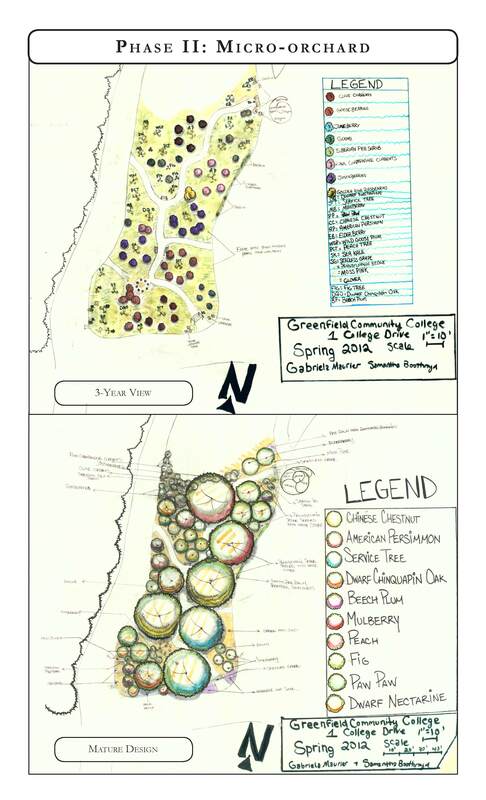 NOTE: students who successfully complete a minimum of 72 class hours and the final design project will receive a Permaculture Design Certificate. Special Requirement: Field trips. Students assume any travel costs. Students must use garden hand tools and work in the soil of permaculture gardens. (Offered: Every Spring)Prereq: ENG 090, ENG 094 (COL 090), and MAT 090 or MAT 090S, or satisfactory placement test scores. Recomm: REE 125 (SCI 125) and/or SCI 138 and/or any course coded AGR. An introduction to the basic principles of soil science. Students study the physical, chemical and biological properties of soil as they relate to agriculture, horticulture, forestry, landscaping and environmental science. 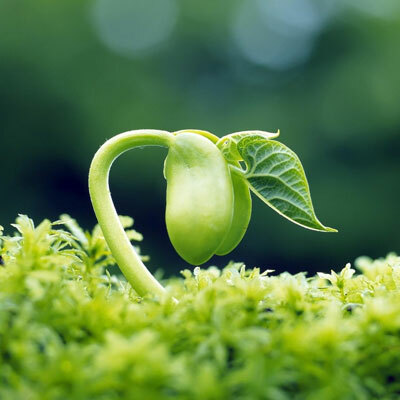 Topics include soil morphology, formation, fertility, chemistry, testing and conservation; ecological relationships; agricultural applications; plant nutrition and fertilization; environmental and water resource management. Special Requirement: Field trips required. An introduction to the study of plants through exploring the structure and function of roots, stems, leaves, flowers, fruits, and seeds. Students study the processes of reproduction, respiration, photosynthesis, and inheritance. In the laboratory, students study the structure and function of live and preserved plant materials as they relate to lecture subjects. Provides knowledge on how to propagate and care for plants through experiences with soils, seeds, bulbs, potting, watering, pruning, dividing, terrariums, and fertilizers. Students learn how to design and manage a vegetable garden for maximum harvest. The laboratory sessions provide experiences with plants, such as mixing soil, planting seeds, taking cuttings, potting up plants, fertilizing plants, plant growth, constructing terrariums, and a trip to a local plant growing business. NOTE: Students may receive credit for BIO 111 or BIO 124, but not for both. Provides strategies and techniques for the beginner beekeeper. Topics include: hive construction, life cycle of the honey bee, hive management through the seasons, threats to the health and wellness of bees, diverse approaches and the joys of beekeeping. Special Requirement: Must possess physical ability to use hand tools. Field trip required. NOTE: Students work with bees. 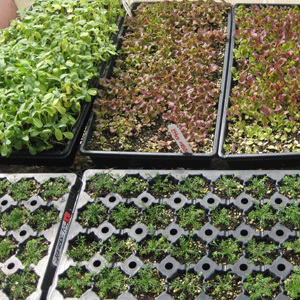 Explores strategies for extending growing seasons into the fall and winter. Topics include: hoophouses, coldframes, raised beds, mulch, managing seasonal crops, frost proofing, cold hardy crops, early spring greenhouse management, winter snow removal, and seed germination under unheated conditions. Special Requirement: Must possess physical ability to use hand tools. Field trip required. Applies permaculture principles in the foraging and cultivation of wild fungi. Field activities include collection, identification, and cultivation of fungi for culinary purposes. Students learn to identify, cook, and preserve safe-to-eat mushrooms using field guides. Students acquire cultivation skills for shiitake, reishi, and/or oyster mushrooms and understand how to integrate mushroom logs into homescale gardens. NOTE: A spring offering focuses more on cultivation while a fall offering focuses more on foraging. Special Requirement: Field trips. Students assume any travel costs. Explores cooperative member-owned business models (co-ops) and their various forms of democratic ownership with a focus on the local food economy. Students form groups and receive mentorship in creating their own co-op enterprise with the goals of strengthening food security, sustainability, and/or food access. Interactive workshops and guest speakers inform students’ understanding of the local food economy in the Pioneer Valley. 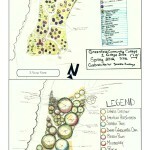 Offers students hands-on permaculture skills for productive landscapes. 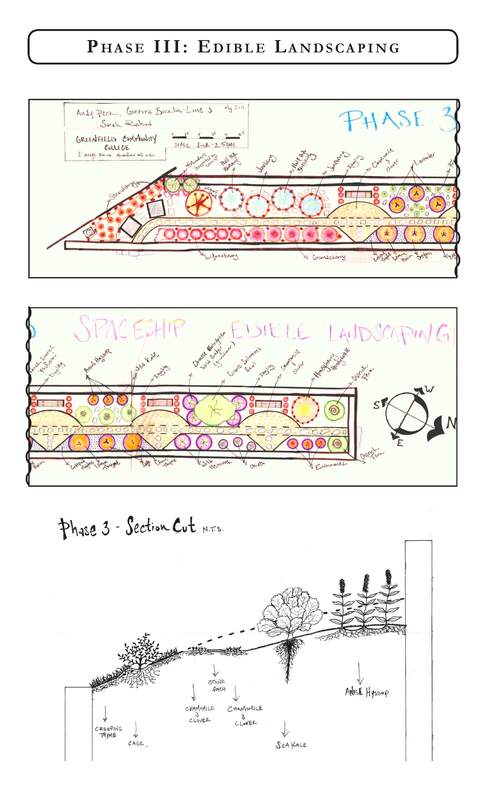 Students gain applied skills through direct observation of and interaction with permaculture systems, including an edible forest garden, stormwater irrigation system, greenhouse, constructed pond, earth-bermed root cellar, and living roof. This course combines on-site lectures describing landscape management procedures and hands-on installation activities such as mulching, planting, pruning and light-construction. Special Requirement: Field trips. Students assume any travel costs. Students must use gardening hand tools, work in soil for an extended period of time, and traverse sloped landscape. A basic introduction to observing, identifying, harvesting and preserving native plants, herbs and weeds for edible and nutritional purposes. Topics also include how common weeds, including invasive species, can be turned in to value-added products–improving the productivity of farms, gardens or homesteads. Special Requirement: Field trips; students assume any travel costs and make arrangements for their own transportation. Students must traverse uneven landscapes. Provides students interested in farm and food systems with an awareness of the business skills necessary to run their businesses successfully. Students examine the social and ethical values common to both successful business operations and sustainable farm systems. This course is for students with interests in farms, restaurants, food production, systems planning, and entrepreneurship. (Offered: Every Spring)Prereq: ENG 090 and ENG 094 (COL 090), or satisfactory placement test scores. Some of our credit classes are offered on a non-credit basis through our Office of Community Education. These are educational experiences in applied skills that are necessary to increase individual self-sufficiency and contribute to the re-skilling and resilience of our communities, local economies, and social fabric. When available, not-credit classes are listed below. Online payment and registration is available through Community Education. 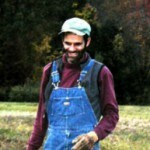 Daniel Botkin, instructor of Four Season Farming, is a farmer, educator, athlete, activist, and avid teacher who recognizes the timeliness of “backyard agriculture” and permaculture-style food gardens in today’s shifting food equation. With the help of seasonal volunteers “WWOOFers,” Daniel and his family operate a small CSA, share gourmet veggies, herbs, and flowers, save seeds, and host community events at Laughing Dog Farm in Gill. Although he enjoys growing for market, Daniel sees his true mission as teaching and inspiring the next generation in crafty, small-scale, low-budget, and diversified food production. He mentors on-farm interns and teaches classes on hoophouses, winter gardening, goat husbandry, heirloom seed saving, food storage, processing and fine cooking. 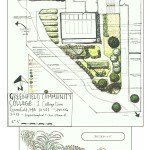 Abrah Jordan Dresdale is certified in Permaculture Design and holds a Master’s degree in Sustainable Landscape Design and Planning from the Conway School. 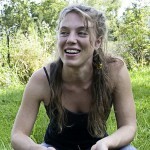 She teaches Introduction to Food Systems and Permaculture Design. As the 2013-14 David Bird Fellow, Abrah traveled to Tamil Nadu, India to help with reforestation and food security efforts. Abrah uses mentoring and ecological design as tools to facilitate positive change in partnership with people and communities. Clifford Hatch, instructor of Beekeeping, comes from a tradition of New England family farming that reaches back to the early seventeenth century. Clifford grew up on his family’s farm in Granby, MA. After college, he obtained culinary training and embarked on a career as Chef de Cuisine, first at the Deerfield Inn and later at the Rhode Island Country Club. He and Patricia Crosby began their first farm in Seekonk, Massachusetts before moving to Gill in 1988 and starting a pick-your-own farm and raw milk dairy operation at Upinngil Farm. He is active in local and regional farming organizations and serves on the boards of the Greenfield Farmers Cooperative Exchange, the Northeast Organic Farmers Association/Massachusetts, the Franklin County Technical School, and the Greenfield YMCA. Charlie Laurel arrived at GCC in 2008 after 12 years living on the edge of the Painted Desert in Arizona where he was building houses out of used tires, straw bales, mud, aluminum cans, etc. He also worked with communities on the Dine’ Nation (Navajo) lands making links between forest restoration and building semi-traditional “Hogan” dwellings and ceremonial structures. 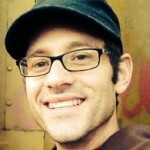 Charlie earned his Masters of Sustainable Communities degree at Northern Arizona University, writing a thesis that combined his interests of Zen Buddhism and Environmentalism. Teaching a few courses at Coconino Community College in Flagstaff, Arizona sparked Charlie’s desire to focus on teaching when he moved to New England. In addition to teaching Environmental Studies at GCC, he also teaches Passive Solar Design; Building with Earth, Straw, Wood, and Stone; Organic Gardening; and a variety of special one-credit courses. 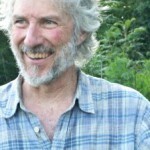 Charlie teaches permaculture through the Vermont Wilderness School, enjoys gardening, and is working on a Masters in Community Mental Health at Southern New Hampshire University. Brittany Wood Nickerson is a practicing herbalist and an enthusiastic cook and wild plant forager. 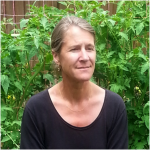 She is the founder and primary instructor of Thyme Herbal in Amherst, MA where she teaches herbal classes and apprenticeship programs. 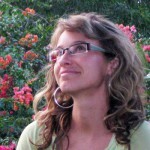 She teaches women’s health at UMass Amherst and is the organizer of the Northampton/Amherst Herbal Meet-up Group. From 2005 to 2013, Amy-Louise and her husband developed ten-acre Tuckaway Farm in Conway, pasturing meat chickens with Icelandic sheep, tending a flock of laying hens, planting a vineyard, an orchard, berries, and a household garden. Through participation in markets and festivals, as well as in educational opportunities offered through local agricultural and economic development organizations, Amy-Louise developed connections to the farm and food systems of the Pioneer Valley. As former marketing and sales director of the family-owned Trasimeno Mills Organic Extra-Virgin Olive Oil she established relationships with local food coops, CSAs, and specialty food stores. In addition, Amy-Louise has taught in the public schools in Springfield, Greenfield, and Conway, and participated in professional development at UMASS. 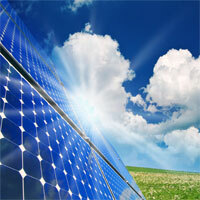 Most recently, Amy-Louise earned a certificate from GCC’s Renewable Energy/Energy Efficiency program. This fall she begins studying for a Masters in Sustainable Development and Climate Change at Antioch University New England. She is pleased to bring her commitment to creating sustainable human and natural systems to GCC. Anthony Reiber is the Greenhouse/Lab Technician managing the greenhouse facility at GCC as well as the soil science instructor. He received an M.S.in Wetland Conservation from the University of Massachusetts and a B.S. in Plant and Soil Science from Southern Illinois University. His experience in greenhouse and nursery production with the New England Wildflower Society and New England Wetland Plants concentrated on producing native plant species specifically for habitat restoration and natural landscaping. In addition he started his own growing operation to provide plant material for the largest wetland restoration project in New England. 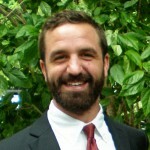 Andrew Stachiw is licensed high school teacher in MA and a worker-owner at the Toolbox for Education and Social Action, a worker-owned cooperative created to democratize education and the economy while furthering the cooperative movement. Additionally, he is on the advisory board for both the worker-cooperative Peer Mentorship Program, and the Pioneer Valley Workers Center. 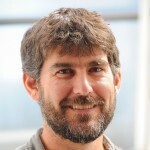 Keith Zaltzberg is an energetic environmental designer who combines experience in landscape architecture, planning, permaculture design, farming, and construction. Since 2005, he has collaborated with individuals and communities on a projects that integrate ecosystem services and agricultural production. As a founding partner of the Regenerative Design Group, a design-build business, Keith has managed projects from campus masterplans and outdoor classrooms to urban community farms and suburban homesteads since 2009. Keith teaches Permaculture Installation at Greenfield Community College, Permaculture Design at Sirius Ecovillage, digital and studio design at the Conway School of Landscape Design, and AutoCad at Smith College. He rounds out his teaching endeavors by delivering workshops at food systems and farming conferences each year. 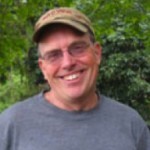 Keith has been a Certified Permaculture Designer since 2001, holds a B.S. 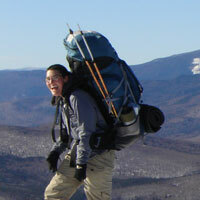 in Environmental Design from the Department of Landscape Architecture and Regional Planning at UMass-Amherst, and is an avid student of wild and human ecosystems. Farm and Food Systems students are encouraged to take advantage of our internship program which provides valuable, hands-on experience and learning in the sustainable agriculture and food systems. Currently available internships are listed below. Learn more about GCC’s internship program and process at our internship site. 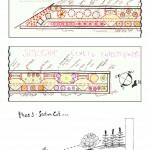 Permaculture Garden Design, Installation, and Maintenance Internship. Students in the Farm and Food Systems program work on hands-on projects in our local community focused on sustainability and food security. Each semester they present their research and learning outcomes. Take a look! Check in YouTube if the id PLfaxvP9ShYX1m6k2scGQ88tmkci_dB-4f belongs to a playlist. Check the FAQ of the plugin or send error messages to support. Check in YouTube if the id PLScZZ_swFuzvHrrpo_rCGJZ2ZDWhV0vCg belongs to a playlist. Check the FAQ of the plugin or send error messages to support. Interns in the Farm and Food Systems option blog about their on-going service learning projects. Check out their latest posts! This club helps to maintain our permaculture garden on campus and engages the community through education, hands-on skills, food production, and cross-disciplinary and co-curricular projects. Open to all students! Associate degrees can typically be completed in two (2) years. Associate in Arts (AA) degrees are designed for transfer. Associate in Science (AS) degrees are designed for immediate workforce entry. Certificates are designed for immediate workforce entry and can typically be completed in one (1) year. Interested in one of our academic programs? Let us know and an admissions representative will be in touch! Please include your address if you'd like us to mail you admissions materials. Check all that apply. Hold down the Command key to select multiple programs. We won't necessarily contact you this way, but it's helpful for us to know what you prefer.